Flush toilets have been around for more than two centuries, so one might think there isn’t much that can be improved. Recently, however, a newer type of unit has found its way into residential bathrooms across the U.S.—the wall-mounted toilet. Originating in Europe, wall-hung toilets function the same way as their floor-mounted counterparts, but the tank is hidden behind the drywall inside the framing. From a design perspective, a wall-mounted toilet instantly brings a modern, sleek aesthetic to any bathroom. That, more than anything, appears to be driving the model’s increased popularity. Plus, the “floating” toilet gives the remodeler greater design flexibility because it allows for fewer pattern breaks on the floor and walls. For all of these advantages, remodelers say the concept has yet to really catch on in the U.S. Those interviewed report completing 10 or fewer bathroom projects with wall-hung toilets in the last four years. 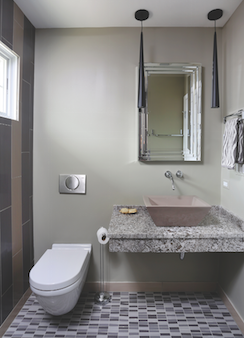 In this bathroom by Normandy Remodeling, in Hinsdale, Ill., the wall-hung toilet is in keeping wth the floating, minimalist vanity and contributes to the clean, uncluttered look of the space. One possible reason for this is the level of commitment involved with making the switch. In addition to knocking out a wall, the pipes must be moved from their usual spot in the floor. “It becomes a question of can you physically get the drain pipe up the wall from the basement?” says Mike Mackin, owner of Mackin & Sons Plumbing, in Toledo, Ohio. For this reason alone many professionals don’t install a wall-hung unit unless the project is a new home or a major remodel. Cost also becomes a factor because wall-hung toilets are significantly more expensive than traditional units. “They’re buying all of the components, so it’s well over the price of your standard toilet,” says Robert Kramer, AKBD, remodeling consultant for Cipriani Remodeling Solutions, in Woodbury, N.J. The four main components are the wall tank, flush actuator, toilet bowl, and seat. 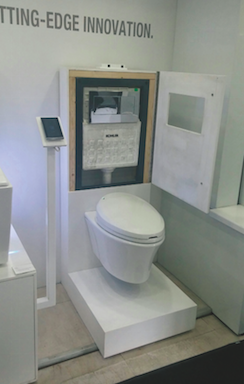 Altogether, the cost of the toilet can run up to $1,000. Plumbing and installation can be as much as twice that number. Though they can be expensive and are more complicated to install, wall-hung toilets’ sleek, space-saving design and customizable height have made them an increasingly popular option. This example is from Kohler. If a homeowner wants a wall-hung toilet, however, a high price tag usually isn’t going to deter them. “They’re going for the look and the style,” Kramer says. Drainage: When planning out the water and waste lines, make sure you have room for at least a ½-inch water supply line above the tank and a 3-inch waste line below the unit. Repairs: Once the toilet is in the wall, plumbers need access to it in the event that repairs are needed. “Ideally, you want to have access from the bathroom or the room behind it,” Mackin says. Looking for a wall-hung toilet? 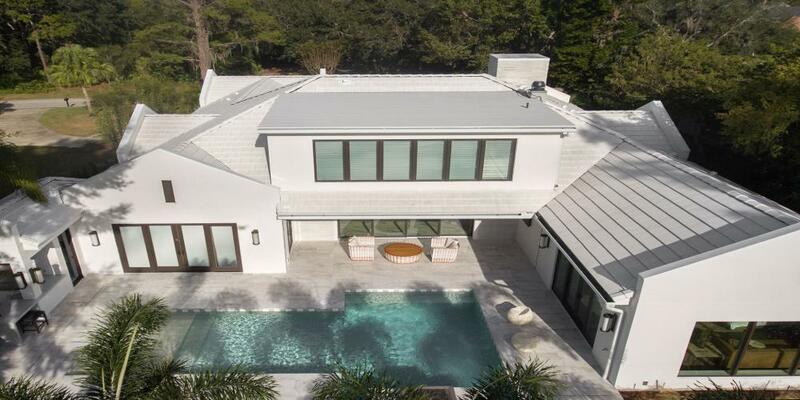 Here are five options on the market now.